The Epson Regional App Challenge aims to encourage developers to create innovative mobile Point of Sale (mPOS) solutions within the Independent Software Vendor (ISV) community, as well as to increase awareness and interest in mPOS products. Meanwhile, the first runner-up winner, ‘Rover Fieldmate’ app, conceptualized by Jason Russ Unson and Miguel Luis Ting, helps laundry businesses digitalize the process of their services, from pick up to delivery. Through the use of a mobile receipt printer, the app can issue receipts and tags for labeling of laundry for its customers. 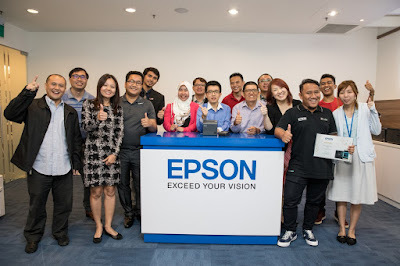 With the said competition, Epson provided a platform for aspiring start-ups and developers to develop an application that would meet a business need. This was also intended to contribute towards innovation and grow the developer community and applications supporting receipt printers in the region. The Regional App Challenge is an initiative of the Epson POS Developer Programme, which aims to develop a community of certified mPOS partners. Certified partners receive support and benefits from Epson.